I love this landscape, the summer is not too far! Pretty lane thru the meadows! What a nice place to visit, and the yellow blossoms really make this a pretty sight. HUGS!! 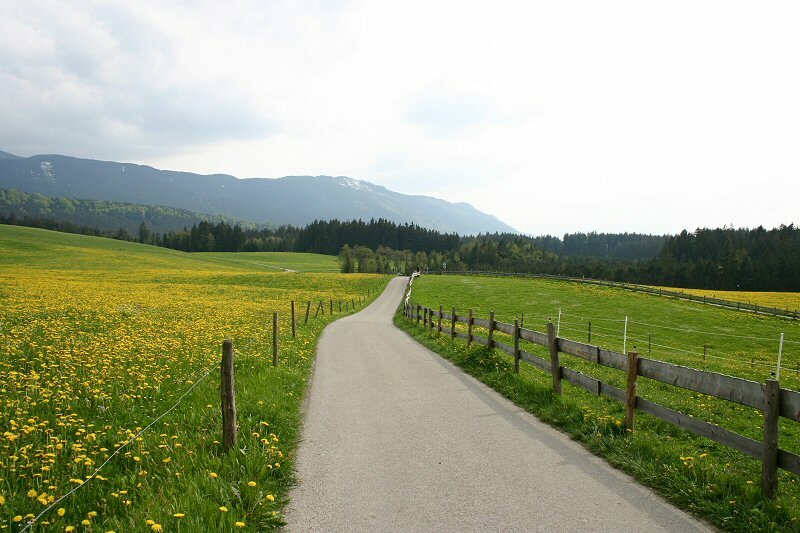 beautiful road leading to glorious spring fields !! fantastic place and shot! Beautiful shot of a beautiful view. Wonderful capture of this road in the country on the hills! Love the mood here, gives me a somewhat home-sweet-home feeling!